The weather is starting to warm up, people are getting more active and participating in many more outdoor activities. If you are not prepared, something as simple as a bad landing could cause severe foot or leg injuries. In an attempt to prepare for the outdoors, consider chiropractic adjustment. It has the potential to manage pain, boost balance, and improve your overall health. We can really work on getting those trouble spots fixed. An adjustment aims to treating poor posture, misalignments, as well as other spine-related problems. Misalignments may occur due to a poor diet, posture, or from a serious injury. Generally, chiropractic adjustment aims at increasing a person’s spinal health and his or her mobility. For persons who love the outdoors, you can benefit from it as it improves your activity level as you address everyday functions. It comes with the added advantage that there are no medications involved. The outdoors leave you at a higher risk of experiencing joint pains, backaches, headaches, alteration of blood pressure, and neck pains. The following are benefits of chiropractic adjustments especially as the outdoors become more enjoyable. The outdoors exposes you to several pathogens and organisms that may cause you harm. Chiropractic care triggers an increase in antibodies thus boosting your immune system. In addition, this practice helps to increase the production of leukocytes, which play a major role in helping white blood cells to fight off diseases. By aligning the spine, you will be able to stabilize your blood pressure. A misalignment increases your risk of related health issues. Chiropractic also offers overall peacefulness, and that stress relief leads to reduced blood pressure. Chiropractic care as indicated boosts the overall well-being of the spine. This practice on a regular leaves a healthy spine. This will in turn boost your balance thus preventing easy slips and falls. You will be able to avoid injury from unexpected falls as your body parts will be stronger. Athletes have access to adjustments, exercises, and stretches and chiropractic care is an important part of pain reduction for many. In addition, it comes in handy in promoting recovery as well as improving physical performance. You can feel more confident in going outside and doing what you want. It is important to note that this practice does not include the use of any drugs or medication. Instead, it works with your body to improve your health. The only tools involved are the skilled hands of a chiro. Individuals who cannot help but go out of their way to take on demanding activities in the outdoors can help manage pain in the event something comes up. It is also ideal for treating chronic pain so that you can go out and enjoy the outdoors even when you have an ailment that may otherwise restrict your mobility. Chiropractic care can help to alleviate things like tweaking your back, those pains that make you want to lay down and do nothing. Even just going one time for a once-over and getting looked at and adjusted can do great things for you! You may find you had an ailment that you just through was normal, but was actually holding you back a ton! 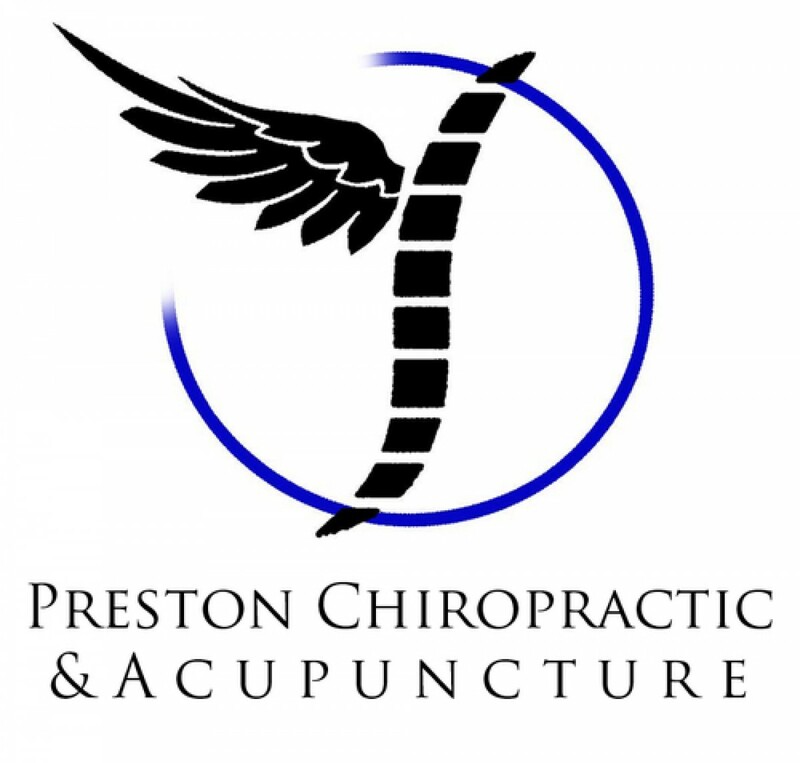 Preston Chiropractic is here for all of your chiropractic and pain management needs, we can work with just about anyone to get you back feeling like you want to! We also offer other services that may be great for you, check it out! Are you looking for a quick relief to that annoying back pain or recovering from accident injuries? Or you are just concerned about your general health? Finding a family chiropractor and acupuncturist for treatment and massage therapy is essential for your health. However, along with professional medical care your Preston Family Chiro, understanding the benefits of standing and stretching regularly is of great importance to you. If you want to achieve your health goals in 2019, you’ve got to do things differently for different results. Your current health condition or tight work schedule may not allow you space for regular intense workouts but there are plenty of small things you can do through the day for yourself. Every moment you take your time to stand or stretch after sitting or lying for some time is very precious to you. It helps increase range of motions and flexibility. Cary Chiropractors provide flexibility training programs to help reduce risk of injury and improve physical performance. Simply put, more flexibly equals less risk for injury. Stretching helps improve range of motion, meaning your body will require less energy when making same movements and in the long run you’ll have more flexible joints. This lessens the possibility of injuries when doing your daily activities or during workouts. When you stretch your body, it aids in nutrients supplies to your muscles. This reduces muscle soreness and helps in speedy joint injury recoveries. Again, this also greatly reduces your chances of injuring yourself, as most injuries are caused by being too tight. If you’ve got an issue with posture or you fear that you may suffer from posture problems, stretching can work magic for you. Every time you stretch, you lengthen the tight muscles that were pulled away from their intended position and keeps your muscles loose. Stretching supports spinal alignment thus improving body posture as well as relieving pains and aching. When you stand and stretch, it helps increase your blood circulation and flow for a healthy body. It promotes efficient supply of oxygen to your brain thus boosting your moods and concentration. For you to relieve muscle soreness after your regular workouts, stretching your body before and after a workout is very vital. It promotes blood and nutrition supply in your muscles and get’s everything flowing as well as it can. Whenever you spend most of your time sitting, your glutes starts degenerating slowly. When they reach a point of shutting down, your other joints and muscles get overstressed. You need to combat this problem by getting up, stretch and get your glutes active. Whether you manage to work out or not, stretching these tight muscles helps reducing future pains and injury. Did you know that daily use of your muscles makes them tight? When you stand and stretch, it helps alleviate your muscle tightness, giving your body a better balance and relief. Sitting for long periods of time can be tough on your muscles. You can easily ignore or forget to stand and stretch your body regularly but when you train with Preston Family Chiropractic, it becomes part of your lifestyle. So if you sit, drive or stay in one place for many hours, you need to embrace the simple magical art of standing and stretching regularly and safeguard your future. Why Do People Need to See Chiropractors from Time to Time? Chiropractic care is a form of alternative medicine which is mostly connected with the diagnosis as well as treatment of mechanical disorders of the musculoskeletal system, especially the spine. A lot of us wake up every day with a nagging pain, or just seem to get a bit slower every day. In most of these cases a home remedy won’t do the job, your next step needs to be visiting a chiropractor. Chiropractors can provide relief to people experiencing anywhere from mild to extreme tension or pain. The longer you put off fixing the root of your issues, the harder they become to fix. The best thing you can do for your health is always to talk to a physician, whether it be to have a discussion or work on a plan to fix an issue. Most individuals usually seek chiropractic care whenever they feel significant discomfort in the back or other parts of the body. Not only can chiropractic care get rid of your pain now, it can help to alleviate it over the long-term. They target the cause of your stress by methods such as screening your spine and examining your overall posture. Many different treatments can be utilized, from massage to kinetic tape, it just depends on what your body needs and reacts best too. This means that your physician uses a special tape to provide relief which also encourages better motion and helps prevent future pain. One of the most essential aspects of seeing a chiropractic doctor is that they seek to offer prevention, rather than a quick fix. Often times you just need to get a routine and do specific stretches and exercise to work on alleviating your pain. Also, some changes to your diet may be suggested and for active people, it may not be the lack of exercise which is causing you trouble but overworking your body could be your problem. You can’t be an expert on everything, this is it’s important that we have chiropractors available for adjustments and to try and help you better your life overall. Whether you just need a small adjustment or need to start working on a plan to alleviate your chronic pain, a chiropractor is the person for you. 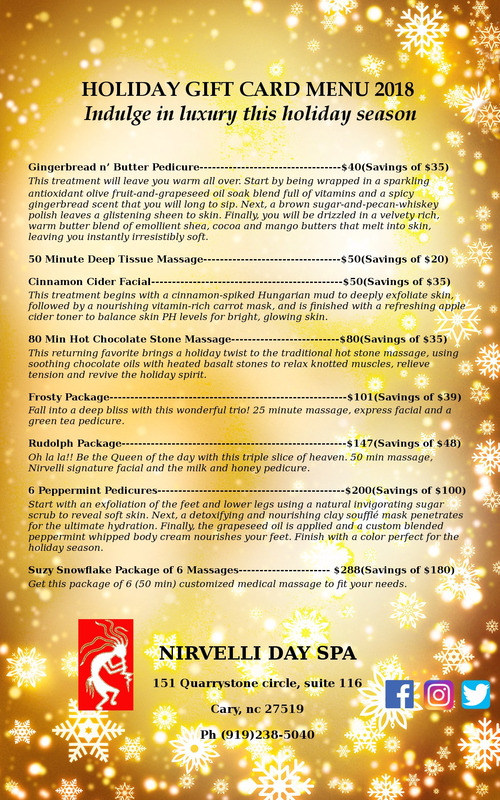 What could be more stress relieving than a nice massage? The medical field isn’t all too straightforward these days, but a chiropractor will always get straight to the point with you. We again must say, you never want to put off any pain or aches you have until they get so bad that you do NEED surgery or something. As soon as it starts to hurt, let’s get to working on fixing it up together! If you have any lingering injuries that are very bothersome, or any new injuries that you just can’t get over, feel free to contact us or come in today! We would love the chance to help you out at Preston Family Chiropractic. Chiropractic medicine has been around for more than a century as a dependable form of treatment for health issues such as back pain, but it has only started to gain recognition over recent years. The truth is that if more people had a better understanding of chiropractic care, then they would be in a better position to gain from it. Anyone who has been thinking about finding a treatment option that is all-natural, affordable, and safe to enhance overall health and well-being should visit us as soon as they can! Chiropractic has all kinds of benefits for the body that can be achieved via natural techniques only, without depending on medication for healing. It mainly focuses on promoting spinal column health. The spine protects the central nervous system to promote any communication between the brain and the body. Proper alignment of the spine promotes the proper functioning of the central nervous system. However, the spine can become misaligned due to muscle strains, auto accidents, and falls also known as vertebral subluxations. Such injuries can result in discomfort and pain in the body not to mention they can affect the signals transmitted between the brain and the body causing most of the other bodily functions to break down. This, in turn, leads to stress, energy, digestive issues, and sleep issues. A licensed chiropractor can use manual manipulation techniques to help realign your spinal column to normal. A typical session with a Cary chiropractor starts with an examination of the spine to find the subluxations causing the problems in your body. After the chiropractor finds the source of the problem, he/she will employ manual manipulation techniques to restore the spinal column to its correct alignment. This can be achieved using slow, gradual strokes to relieve pressure or short, forceful thrusts. You can relieve back pain by going for just one chiropractic session but if you want to maximize on the results, you need to go regularly. Regular chiropractic sessions can result in an enhanced overall sense of satisfaction out of life, reduced body pain, and better sleep habits. This is why a chiropractic session is one of the best gifts you can give a loved one who is experiencing problems with back pain or stress. Visiting a chiropractor has the potential to offer immediate relief for most, not to mention the sessions can be conducted based on your own availability. Chiropractic treatments use a holistic approach to address any condition. Aside from treating the problem, Cary chiropractors will also work to make sure it does not happen again in future. This is why Cary chiropractors work closely with their patients to make sure they take all the necessary actions, employ the right diet, and have correct body mechanics to reduce the need for future visits. Most chiropractic patients opt for adjustments to help them function and feel better but an ongoing chiropractic treatment can also allow the patient to take a holistic approach for a healthier and improved lifestyle. For more information on this and more, visit Preston Family Chiropractor’s site! You can also call at any time that they’re open with any questions that you may have at (919) 238-5040. We can’t wait to help strengthen you and your body! Author prestonfamilychiropracticPosted on December 7, 2018 Leave a comment on Give The Gift of Chiropractic This Holiday Season! Most of the time, body pains are there for a specific reason.They tell us when our body is not functioning at its optimum or it has been injured, very important feedback for any person! However, for some people, the pain may stay around for a long period of time, even weeks, months, and sometimes years. This causes a lot of suffering and reduces overall quality of life, sometimes drastically so. If you fall into this category, then you need to understand the other treatment methods for chronic pain. This article will help you understand these other methods to help you supplement the medication that you have been prescribed by your medical practitioner. Once you are aware of these other methods, you will know how to best deal with your own pain. Working out: Strengthening your body really is so important. Physical activity strengthens your body and interrupts the cycle of chronic pain. Research shows that this reduces the immobility that is present in various conditions such as fibromyalgia and arthritis. Alternatively, if exercising is too strenuous on your body you could try aerobic activities because of their gentle nature. You could try some cycling, swimming, and even walking. The key is getting your endorphins flowing from working out, they’ll help reduce pain and make you feel better overall! Heat and cold: These are the two key methods of getting through chronic pain for most injuries. Go out and buy, or make a homemade cold and hot pack. You could do this with the aid of a clean dry cloth and either dip it in hot water or use it to wrap ice cubes. Get a good Cary chiropractor or physical therapist to help you with their version of this method. This is better just because the cold or heat is applied more effectively and evenly, better providing relief to the area being questioned. Mind exercises: Restore the balance and control of your body by doing more exercises that deal with breathing, mindfulness, and meditation. Healing starts in the mind, thus you need to strengthen the belief and possibility by restoring the balance and control that your mind should have. These exercises will calm you down and increase your chances of pain relief. It turns down the flight or fights response that increases chronic pain and muscle tension in the body when going through stressful occasions. Focusing on your mental health really is important, being in a good clear state of mind can alleviate pain, make you do your job better, and just lead to a better life overall. Yoga: This practice is different from meditation. Most of the time they go hand in hand. Yoga incorporates meditation, breathing control and gentle movements that help to strengthen and stretch muscles. It helps people who experience lingering injuries, arthritis and even headaches. Alternatively, if you lack the time, try stretching your body when you are at work. Take breaks from your desk and walk around or stretch your body. Constant sitting has been known to affect the tissues and muscles. Getting up for a short break will help clear your mind also, getting that blood flowing and get your mind to start fresh when you get back to work! Music therapy: Do you love music? Which music genre do you love? Well, studies show that you can use this little fact to your advantage by going about music therapy. It has been known to help reduce pain after and even before surgeries and childbirth. Most times, this form of therapy has used classical music. Listening to music distracts your mind and makes you forget the discomfort and pain. It also activates positive hormones that are emitted from the brain such as oxytocin that help improve healing of the body. Music is a great medicine, it does something special to people! 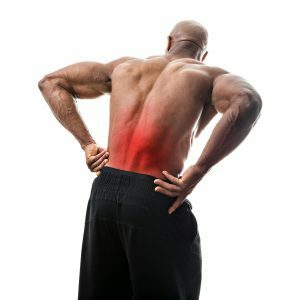 Change the way you sleep: Most of us struggle with chronic back pain, only to realize that their beds are the cause of the pain, once we’ve done a lot of wondering and pondering. Change your pillows and mattress before seeking any medical help if you suffer from chronic back and neck pain. Even if that isn’t the whole issue, it won’t hurt at all! The more relief the better. Author prestonfamilychiropracticPosted on October 7, 2018 Leave a comment on A Stronger Back Means Less Pain!